According to Real Estate Experts, real estate properties in Kolkata witnessed 20 per cent rise in sale during the first half of 2016. The reason for the spurt in the sale of Kolkata properties has been the new projects coming up in localities such as Chowringhee, Jodhpur Park, Ballugaunge, Garia, Sonarpur, E M Bypass and Rawdon Street. Commenting on the trend, experts shared that the locations witnessed many launches targeting the ultra-rich and high net worth individuals owing to the heritage site locations or world-class facilities such as skywalk, infinity swimming pool, helipad etc. 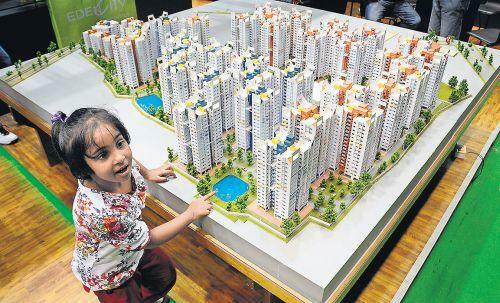 The trend will continue for some time with several developers coming up with such kind of projects in these localities. Apart from these locations, other areas such as New Town and its periphery offer new launches that are coming up as well, shared by the Research division of Knight Frank India. Kolkata is still a conservative market comparing with other metro cities like Delhi, Mumbai and Bangalore. However, the trend of new investor generation is changing with people slowly moving towards luxury properties from owning inherited properties. In a sudden dismay, North Kolkata has been witnessed a drop in the number of new launches in the first six months of 2016. However, the zone’s proximity to Rajarhat and Airport and the multiple upcoming infrastructure projects hold it good stead. Experts believe North Kolkata has the potential to be the next big thing in the residential segment. Kolkata will soon have its first dedicated building for nurturing startup in the state in Action Area in New Town. The building complex will have shareable conference rooms for meetings and will have professionals. According to officials, the city has witnessed the emergence of several IT parks and IT enabled complexes for companies especially in New Town and Sector V. It is expected to become operational by the end of 2016. Many world known and reputed builders have joined hands with the Kolkata real estate, so there is a huge possibility of advanced and technically sound infrastructure. Kolkata Real Estate properties offers dream home filled with joy and coziness within budget. This very city has aroused approximately Rs.25, 000 crore in real estate in the past two years only. With an escalating demand for both, commercial and residential property, Kolkata’s real estate has achieved a lively mode.